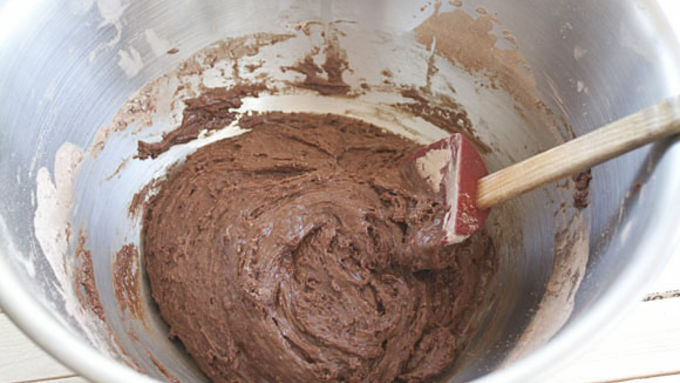 Whisk together dry ingredients (flour, cocoa powder, salt, baking powder, and baking soda) in a bowl. 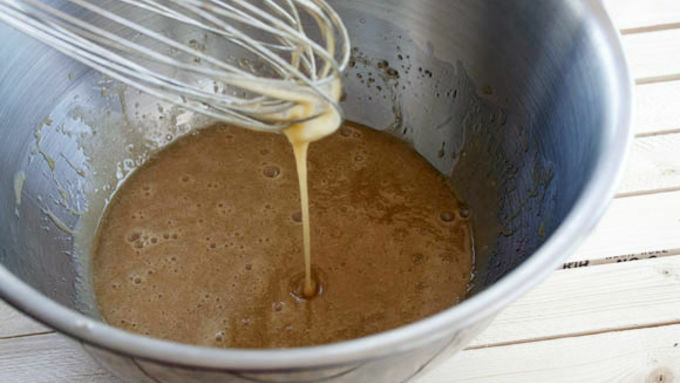 Whisk together sugar, vegetable oil, honey, eggs, and vanilla extract in a separate bowl. 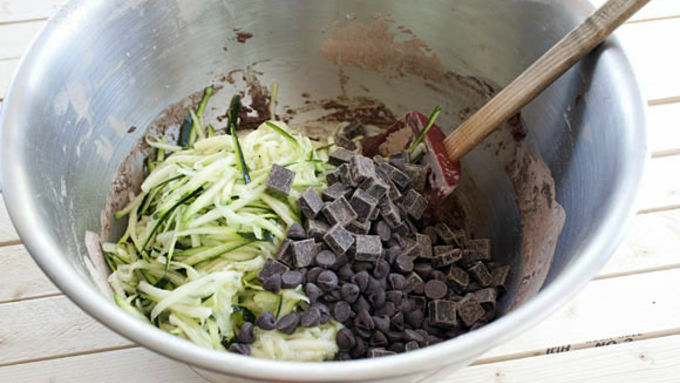 Then fold in zucchini and chocolate chips. 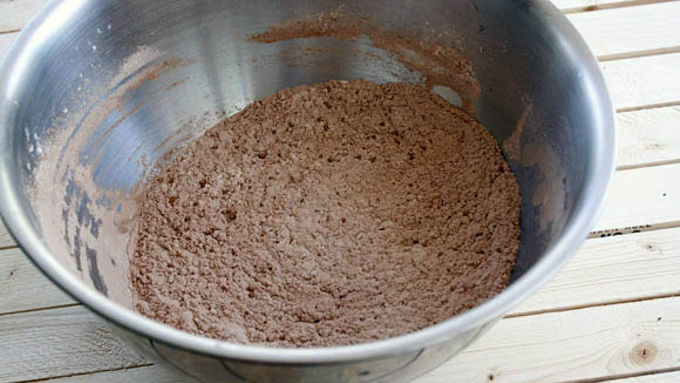 Pour thick batter into a 9x5 loaf pan that has been lightly buttered and floured. If you live in an area where people have gardens, you will almost certainly have a neighbor or friend offer a metric ton of zucchini in the next few weeks. 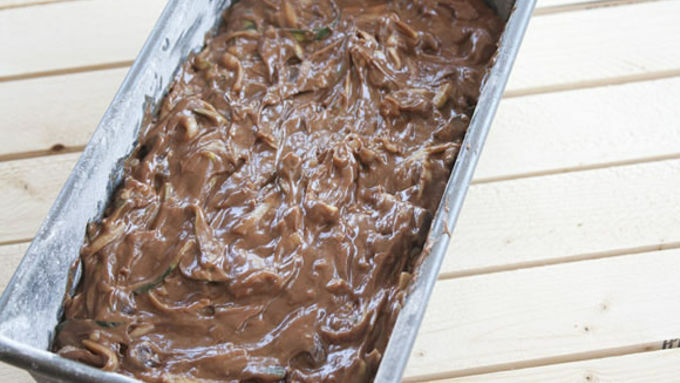 A guy can only eat so much zucchini, but it’s a shame to let it go to waste. 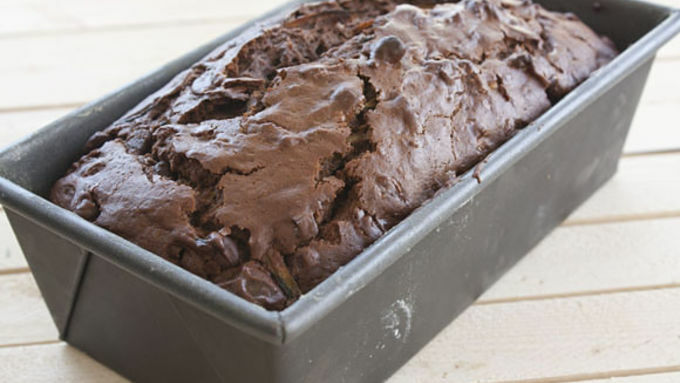 Zucchini bread is a pretty tried and true way to use some of it in a really delicious way. 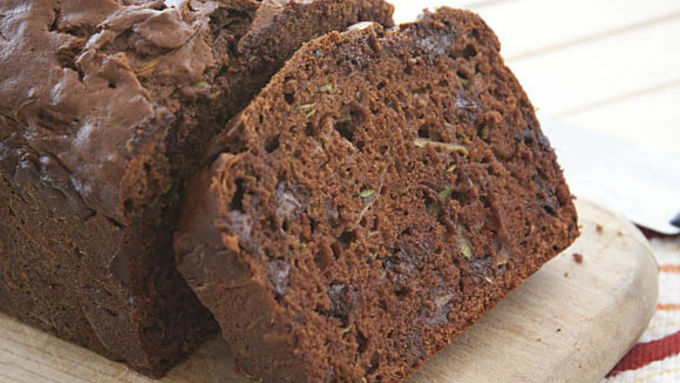 For my triple chocolate zucchini bread, I pack in a lot of shredded zucchini and three different kinds of chocolate for a really dense and rich bread that can be either a breakfast or dessert! 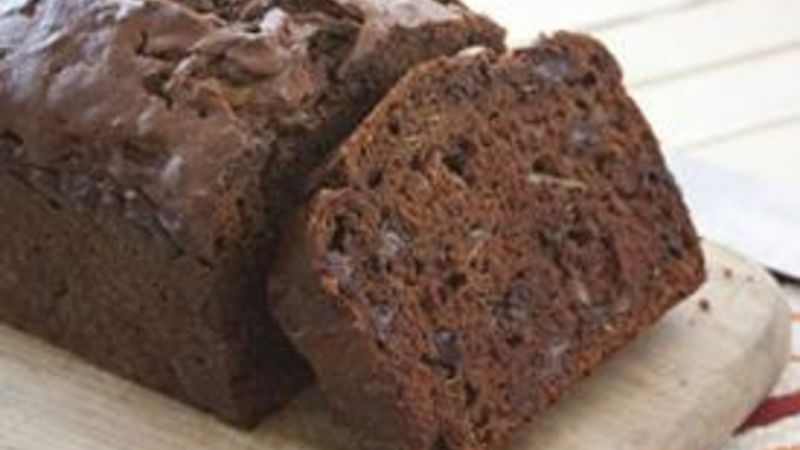 A thick slice of this bread is a great treat and a sweet way to use up some extra zucchini!